Interesting article - from an informed observer - on how passing the WA would be merely the start of the process of leaving the EU. 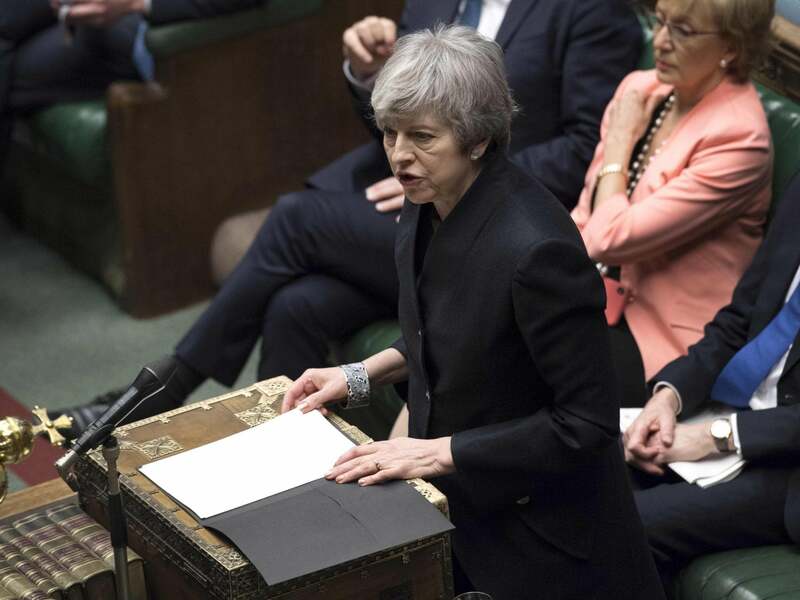 May must ultimately win support for an EU withdrawal agreement implementation bill that has not yet been seen by MPs. This legislation is required to implement the terms of withdrawal. If it isn’t passed, no Brexit happens even if May can finally get support for the deal that we know about. For one thing it would formally approve the £39bn divorce bill, which could still rise depending on how long Britain is stuck in a transition period agreeing a new trade agreement still to follow. This figure is likely to come under intense scrutiny by friends and foes of Brexit alike. What’s more, if we are to have a transition period after we initially leave the EU, parliament must legislate for the temporary supremacy of EU law during the entirety of this process. According to the withdrawal agreement, this process could continue potentially far beyond 2020 – as originally agreed between May and the EU, it could run until 31 December 2099. It is non-negotiable insofar as we would be bound by EU law during that period – it is contained in the implementation bill too. It's those figures that worry me. Overall remain parties look set to get around 29% of the vote but the vote splits over many small parties. Look at those percentages and think of seats. NW region 3 seats, Wales 4 seats, Yorkshire & Humber, SW and Scotland 6 seats each. The seats fill from the top down. The remain parties are at serious risk of getting literally zero sitting MEPS. Mr. Bergmann got one thing wrong - the EU and its predecessors did not start as peace project. The whole reason what it started is far less poetic and was that America wanted to stop the spread of communism being supported by the USSR in Europe, and that they decided this is impossible without Germany being tied to the west during the upcoming cold war. Some might think that stopping the spread of communism by creating an economic union rather than by a military confrontation between the Soviet Union and the Western powers was a form of peace project. but for some european countries becoming more and more integrated was only possible on the background that big parts of the european people wanted Peace, wanted that such a terrible war not would happen again..
and politicians formed political instruments and developments for this aim. which had as aim to overcome the old approch to consider France as arch-enemy or vice versa and become close allies if not friends..
it would not meet the millions of people who took part for example in european international meetings, actions or simply took part in Euro-twinning projects. just to name an example. Wrong again - the Elysee treaty was almost one decade later. The simple reason why the old conflict in post WWII Europe between e.g. France and Germany did not broke loose again is that both countries were under the big influence of America, its foreign politics and that in it there was simple no place in it. It all started with the Schuman declaration - and one of its intended goals was national security, but not no peace by all means any longer in Europe. Why do I get the feeling there's an awful lot of this undercurrent in Westminster these days..
Another one to file under "no surprise"
Lawmakers in the United Kingdom are reportedly set to be given another chance to break the Brexit deadlock with a vote on whether to maintain a customs union with the European Union. London's Evening Standard newspaper has reported that long-time Member of Parliament Frank Field plans to bring the vote, claiming he is "confident of getting it through." Which pretty much describes something every pet person has observed. An animal wanting out then immediately wanting back in. Not getting back in after going to the bathroom or something, just going through the door then directly being annoyed that it shut behind them. Not getting back in after going to the bathroom or something, just going through the door then directly being annoyed that it shut behind them. The catnip is always greener on the other side of the door. Or maybe they are like huans, suffering from the doorway effect. The dramatic thing is that while end of October is the end of the extension, the UK can pull out any given date before. This means tons of employees in all kind of companies are again on standby, in case this happens before October.